2 Beds 2 Baths 2,625 Sq. ft. Original owners of 7th largest luxury condo in Elegant Beauvallon Complex, w/ unmatched patio for size and location. In heart of the Golden Triangle, this exquisite & totally refreshed deluxe 2 bedroom, 2 baths, plus den/study, w/ over 2, 600 sq ft, is on the sunny SW corner of 5th floor w/ loads of windows, & sliders to patio from living area & both bedrooms. Surrounded by more than 1000 sq ft of patio, where three covered areas provide both protection & privacy, w/ incredible city & mtn range views. Container plantings add to privacy & ambience. 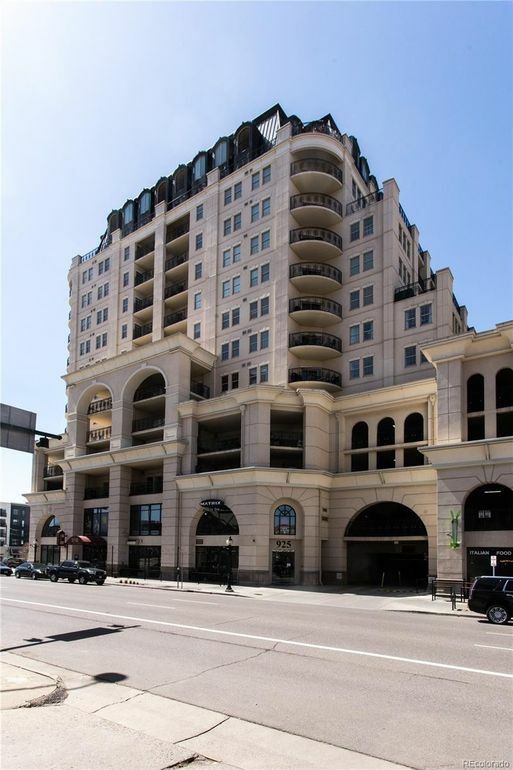 All this plus 2 of the largest private parking spaces located in locked garage, w/ irreplaceable locked storage cabinets, a 5' x 5' x 10' indoor storage closet by 5th floor elevators, plus pool & hot tub in outdoor landscaped garden on 5th floor. HOA has professional on-site property mgmt & concierge w/ 24-hour onsite security. No deferred maintenance, no special assessment in history of the assn., 16% of annual dues applied to funded reserve.